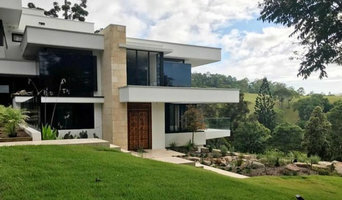 The Green Boutique Landscape Architecture and Design is a boutique landscape design practice working within the wider Brisbane ad costal areas. Studio Mox. is a Brisbane based multi-disciplinary freelance architecture, landscape & design studio, founded in 2008. With a creative focus inspired by passion and fueled by love, our design paradigms are those without the mediocre; ensuring each project the best of our design potential. We are ingenuity at its best. 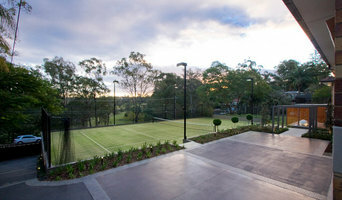 Landscape design & construction in Brisbane. We build premium outdoor spaces to suit your lifestyle. Jump onto our website to find out more. Brisbane based garden design studio that works collaboratively with clients to create sustainable and unique gardens. Point4 Design is a landscape architectural practice with highly motivated and dynamic designers. 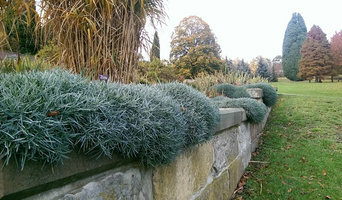 Each designer offers extensive experience in all facets of landscape design and construction documentation. We are a team of design leaders, who are creative designers and critical thinkers. We deliver unique, memorable and sustainable outcomes. As collaborators, we are flexible and great listeners, who strive to do what’s best for all stakeholders and partners. We design to budget and maintenance requirements and our strong design and documentation is back by strong project delivery. Our mission is to provide innovative and creative landscape design and planning solutions unique to each place and community, backed up by great service and project delivery. Working closely with our partners and clients we strive to achieve excellent and sustainable outcomes at affordable fees. Innovative & sustainable civic, residential and commercial landscape architecture, with a strong focus on unique and creative design outcomes in response to site character and client aspirations. 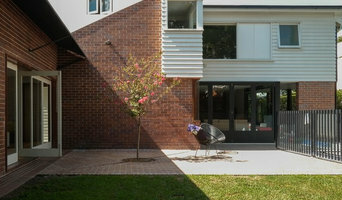 The practice is at the forefront of contemporary Australian landscape design. By fusing ecology, art and design, John Mongard Landscape Architects (JMLA) create sustainable models for living which are also beautiful. Our gardens and outdoor spaces aim to be memorable and timeless experiences. Marian Long Landscape Architecture is a young, and emerging landscape architectural practice noted for its novel approach to urban residential landscapes in Brisbane and Melbourne. Marian Long - Director Marian's unique approach to landscape architecture has been influenced by her early career in film and television where, for many years, her role involved designing and enhancing clever illusions for the camera. On completing her Landscape Architecture degree in Brisbane, Marian travelled to the US in 1991 where she trained under the acclaimed Landscape Architect Martha Schwartz. Back in Australia, Marian worked on a variety of national and international film and TV productions before completing her Master of Landscape Architecture degree at the University of Melbourne in 2011. Appreciating and responding to the lifestyle and particular needs of our clients is an essential and enjoyable part of the design process and Marian encourages the transparent exchange of ideas. Respecting climate change, finite resources, and the ever-increasing density of our cities is also a responsibility that Marian and her team take seriously, and is the constant inspiration behind her innovative and sustainable solutions for urban landscapes. outdoor aspect landscaping & design remains, proudly, a family business. Established in 1999 and combining decades of experience, we thrive on creating beautiful landscapes and tranquil retreats for our clients. As a boutique landscaping service specialising in the residential market, our clients enjoy personalised attention. By applying our practical know-how to our clients' vision of how they want the exterior areas of their home to look and feel, the end result is one that always energises and gratifies us all. We’ve been designing landscapes since 1997. In that time, we’ve seen landscape architecture through many eyes. Working for a landscape architectural firm, working in a large metropolitan council, and for the last 8 years, running our own practice. We specialise in development and operational work approvals for multi-unit dwellings, subdivisions, large and small commercial and industrial projects. And we wouldn’t turn down the opportunity to provide input on select residential gardens. We provide drawings that are easily understood by you, and everyone else. This saves you time and money. We enjoy solving your problems and we’re good at it. And this is why most of our clients are repeat clients.